Your wedding color scheme can make or break your entire wedding décor – so it is of the utmost importance that you choose it wisely. How do you pull off a monochromatic wedding, though? How do you make certain a monochromatic wedding will not look too dull or that it will lack style? • You really don’t have to stick to one color. Or, better said, you don’t have to stick to one shade of your favorite color. As a matter of fact, choosing different shades of the same color can look extremely stylish and it can add liveliness, beauty and grace to your entire wedding décor. • You should pay-extra attention to your wedding venue. When choosing your venue, please make sure to keep your wedding color into consideration. While you might not be able to change everything in the venue (e.g. you might not be allowed to replace the carpets, for example), you should still pay a lot of attention to the rest of the details and you should be certain that they match your chosen color. Furthermore, remind yourself to match your wedding color both with the reception venue and with the ceremony site as well. • Last, but definitely not least, don’t obsess over your wedding color. You don’t have to “paint” every single detail of the Big Day in this color – on the contrary, actually, you should place your key décor elements farther from each other, so that you emphasize the beauty of your monochromatic color scheme. 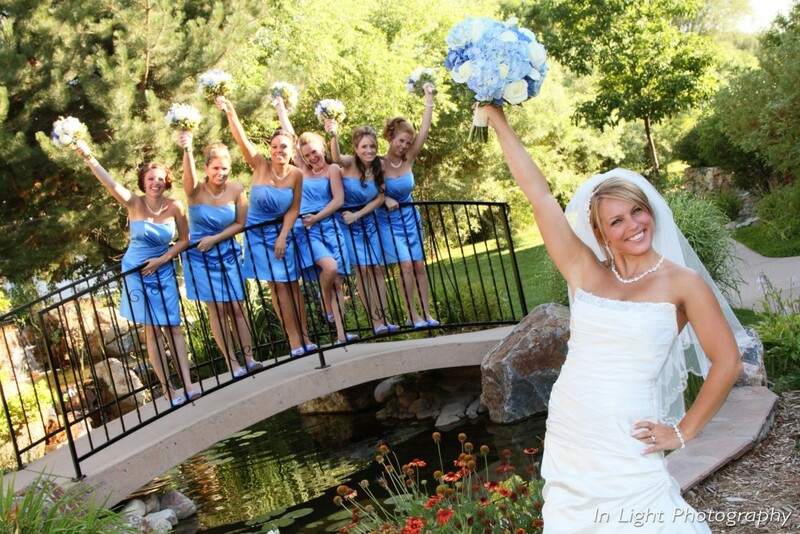 Searching for a wedding venue in Denver? Here at Stonebrook Manor Event Center Gardens, we can provide you with a splendid space, ready to accommodate a wide range of ideas! Contact us, visit us in person and book us for the Big Day!